Our first major project was to make a brochure of a famous landmark. 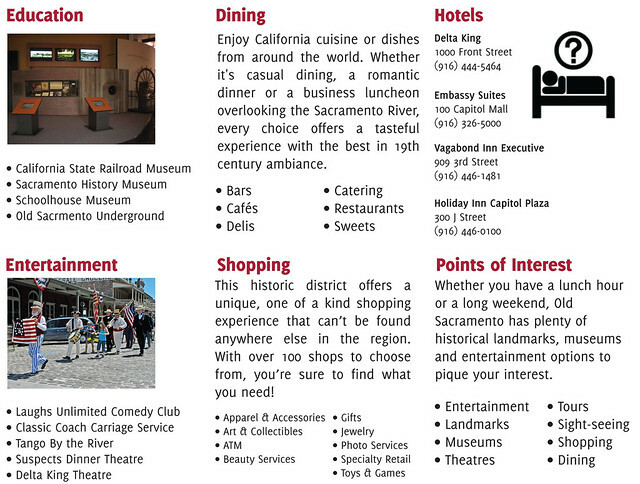 Initially I wanted to do a brochure about Old Sacramento Underground, but there wasn’t enough information. 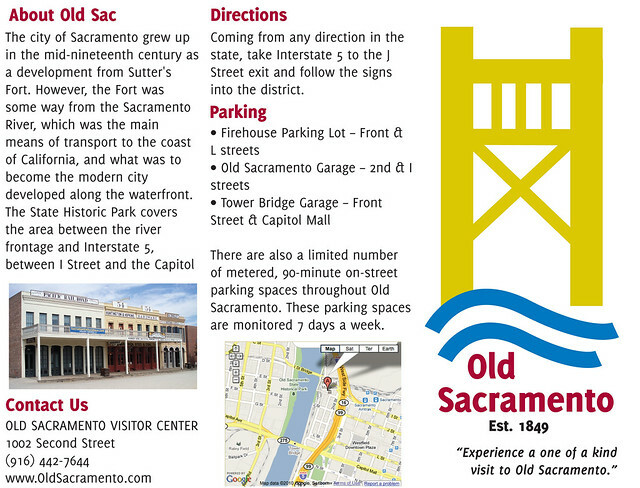 Instead I did a brochure for all of Old Sacramento itself. My mother in-law does field trips to Old Sacramento for her home-school business, Here to Help Learning, so I designed it as if this would be a brochure she would hand out to parents. For our mid-term we had to make up a movie (couldn’t be based on a book or a sequel to another movie) and create a movie poster for it. I decided to mine on a movie where a guy and a girl switch places for a day. I figured these two would be perfect for the lead roles since they both have been in crude sexually-related movies. Next project was to create a web design. 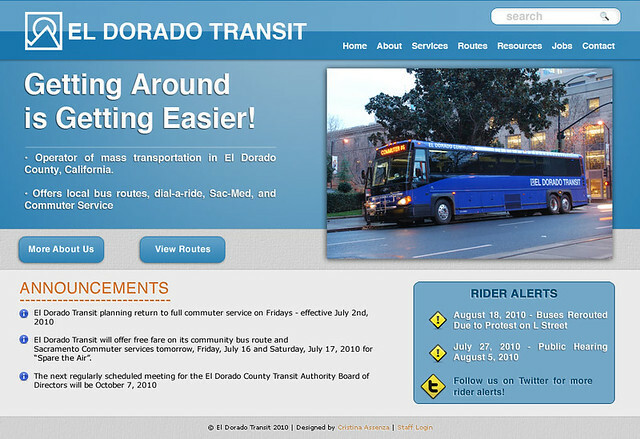 I’m possibly going to be redoing El Dorado Transit’s web site, so I did my design for them. Our final was to do a two page magazine spread created in Adobe InDesign. 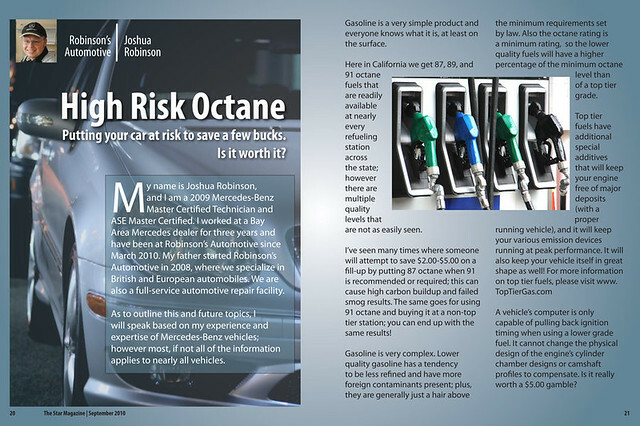 Joshua, my husband, writes articles on behalf of Robinson’s Automotive every week, so I decided to use his first article as my topic. I designed it so it looked like it belonged in The Star Magazine.